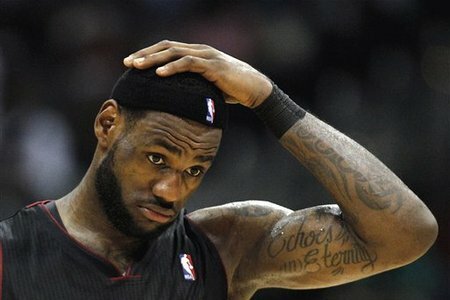 I never thought I would be writing these words but, you guys need to stop picking on LeBron James! I have stated many times that I am not a LeBron Hater and now I have to state that I am in no way a LeBron Apologist. But the way the media is getting on him for every little thing this season is maddening. The latest is the debate going on about LBJ waving his arms to quiet down the fans in Miami during a Dwayne Wade freethrow last night. People are trying to say LeBron was trying to steal the spotlight from Wade. That has got to be the most ridiculous thing I have ever heard. Not surprisingly, the main culprit in this “scandal” is Skip Bayless. It’s no secret that Bayless really hates LeBron. His blind hatred of LeBron is rivals only by his blind love for Tim Tebow. In Skip’s eyes Tebow can do no wrong and James can do no right. If you want to hate LeBron for the way he left Cleveland, go ahead. Dislike him for the self serving “The Decision” debacle. Ridicule him for not showing up for the fourth quarter of every game of last year’s NBA Finals. Be mad at him for his “you little people have to go back to your pathetic lives” press conference after said Finals. But stop picking apart every little thing he does. No matter what you, or I, say, the guy is still a once-in-a-lifetime talent. We need to at least appreciate that. I am in no way becoming a LeBron Apologist by writing this; there are enough of them out there. What I am, deep down, is a fan of the great game of basketball. And I also know when someone is getting a raw deal. Let LeBron play. If he falters on the court, get on him for that. Other than that, leave the guy alone. 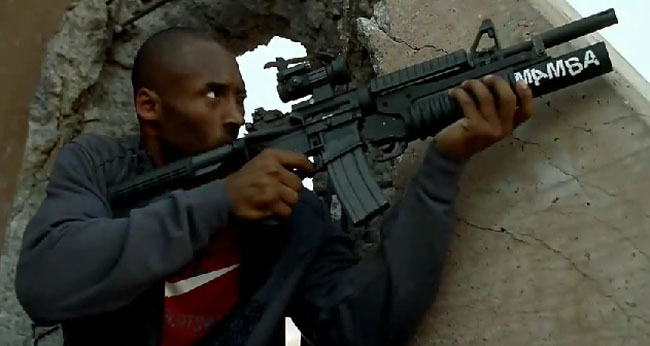 Kobe Catches Heat For Black (Mamba) Ops! That’s supposed to mean that people of all walks of life will be playing this game. I get it; if you want to move some product you put famous people in the commercial. Whether they have any connection to the product or not. Does Kobe even play video games? He strikes me as the kind of dude who doesn’t play them at all. So of course, all the usual characters come out against this ad. All the anti-gun, anti-violence, anti-video game groups and anyone else with a cause they are trying to sell to the public. You would expect those people. For Bayless to invoke the troops in this argument is completely transparent and also hypocritical. He’s saying Kobe should have thought about the troops before he made the decision to be in this commercial. 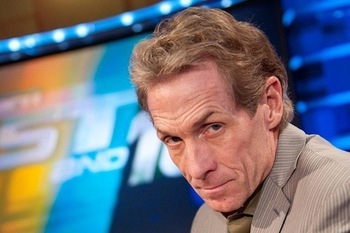 My question is; When has Skip Bayless ever thought about the troops? What has he ever done? Google “Skip Bayless” and “US troops” and see what comes up. Nothing, because Skip Bayless has never done anything for the troops. Except use them as a prop to justify his mock outrage. I think everyone needs to take a step back and realize that it’s just a commercial about a video game. To be sure, there is real violence in the world that needs to be addressed. But this violence did not start with video games and certainly not with Kobe Bryant.